Most of my early knowledge about Hinduism came through a movement called Swadhyaya. Although in the past few years I have ceased to be an active part of the movement, I am extremely grateful for having received an amazing and practical appreciation of my cultural and spiritual heritage. What I learnt at Swadhyaya was mostly delivered in a fun, easy to understand, interactive and very practical manner. Therefore, even though I had the attention span of a goldfish (like most other people my age), I was able to imbibe valuable knowledge which has served me well in life. If I hadn’t been exposed to Hinduism in this way I may have lost interest, like so many other of my less fortunate peers. One of the first religious books I ever read (except for the brilliant ‘Amar Chitra Katha’ comics) was “The Life of Lord Krishna”, an account of Shri Krishna’s life based on lectures and teachings of Pandurang Shastri Athavale, the founder of Swadhyaya. It became one of my two favourite books. The way that Krishna is portrayed in that book is what made me feel that religion in general and Hinduism in particular is something which I want to make a part of my life. 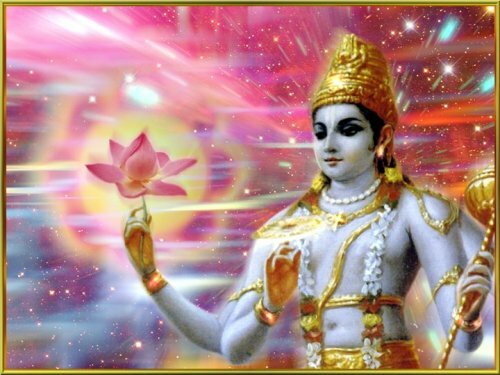 Krishna was the author (or original speaker) of arguably the most profound spiritual work in the world, the Bhagavad Gita. But he was also a ruler, statesman, raised a family, was a great musician and made people laugh. Other great people have succeeded in one or maybe two realms of human endeavour, but generally their success in these takes away from other parts of their life. Krishna, on the other hand, represents the integration of all of life’s aspects and goals. Furthermore, he achieved all of what he did without stress, struggle or fatigue; maintaining a calm and joyful poise. Of course we cannot be Krishna. But his teachings are for all people and encompass all of life. It was exciting to encounter teachings that didn’t place spiritual life in opposition with life’s other manifold aspects – adventurousness, love, politics, strength, friendship, struggle against poverty, pursuit of wealth etc. I didn’t want to hear about religious teachings which told me to become quiet, passive, lifeless. And I think most people would concur on this point. This is what is far more likely to appeal to the modern mind seeking for meaning in life. Unfortunately, many (if not most) Hindu teachers today seem to miss the fact that our religion and culture are not going to take a hold on the minds of future generations unless they are portrayed in a lively, relevant and interesting way. When Hinduism is taught in the modern age, whether it is through books, talks, classes or any other means, many teachers or authors do not understand the effect that their delivery can have on the recipients. They teach Hindu ideas in a way that seem too divorced from every day life, devoid of force and relevance. They sometimes imply that you have to become something akin to a hermit to live our religion. The delivery and context in which religious teachings are delivered is absolutely crucial to whether most people will bother paying attention to them or not. An effort needs to be made by those who are involved in teaching Hinduism to ensure that the teachings are delivered in a lively and immediately relevant way. The format needs to be interesting and engrossing rather than mundane and lifeless. This is of supreme importance to the future of our religion.